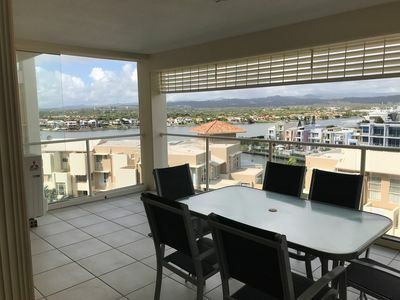 Own an investment property on the Gold Coast? Our rental management services operate on an entirely different and much more effective level than the ‘norm’. We are a friendly, yet professional and experienced team committed to delivering a service second to none; a place where you become a client for life and not just another number. You will have the peace of mind that comes from dealing with a team of experts who manage a complete spectrum of properties; from the most basic unit through to some of the Central Coast’s finest residences and acreages. The same culture of professionalism is found through our entire range of clientele. Backed by a highly regarded and respected sales team, our dedicated Property Management team know delivering quality management is paramount in ensuring your investment portfolio performs at its peak. Your investment is our priority! Distinctive marketing of your property utilising our unique advertising methods, ensuring your property is presented at its best, attracting the most suitable prospective tenants for your property. Tenant selection is made easy with our extensive screening process, ensuring you are selecting from a quality group of prospective tenants, who can meet the responsibilities of a Tenancy Agreement. Any risk of potential financial loss to you is minimised with our zero tolerance and proactive approach to rent arrears. 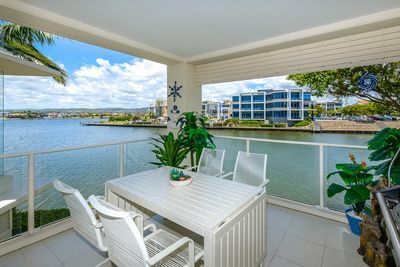 Regular updated estimates on the value of your rental property are provided to you, as we know too well how the market can change throughout tenancy periods. Maintain quality and increase the value of your investment by conducting regular 3 monthly inspections, delivering prompt response and quality control over maintenance, no matter how minor the issue may seem. Receive an unsurpassed depth of support and continuity in the management of your investment, achieved by dealing direct with your own personal Property Manager. This will provide you peace of mind in the knowledge that your Property Manager knows all your properties, all your tenants and more importantly, one who knows and understands you. Join the rest of our satisfied clients today and simplify your life by allowing us to take care of your portfolio because quite simply – we aim higher. If you would like to request a confidential and obligation free appraisal of your rental property, please phone us on 07 5580 9211 or use our request rental appraisal form to send us your details.